START by making the taco sauce and taco seasoning. WASH the vegetables. REMOVE seeds from the bell peppers, then finely dice. REMOVE the hard center from the tomatoes and dice them too. CHOP the cucumber into thin slices and the ice berg lettuce into long and thin strips. 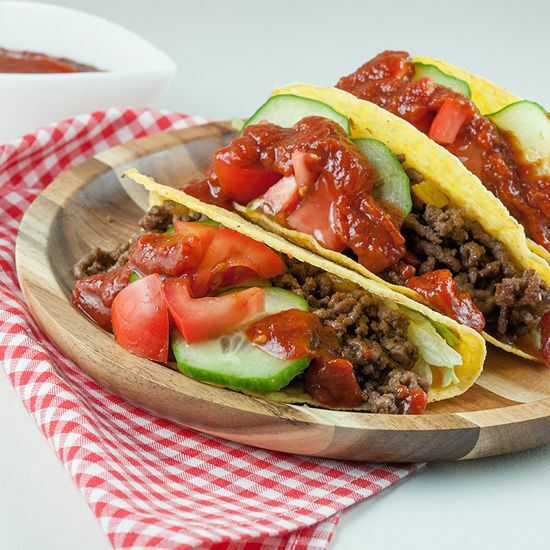 PRE-HEAT the oven to a temperature of 200 degrees Celsius or 390 degrees Fahrenheit to heat up the hard shell tacos. 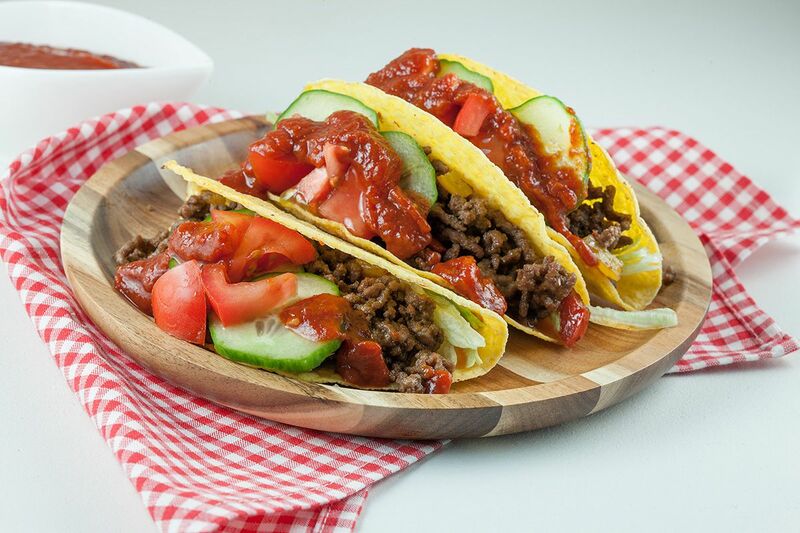 ITS best to let the taco shells sit on top of each other (do remove the plastic from the package!). 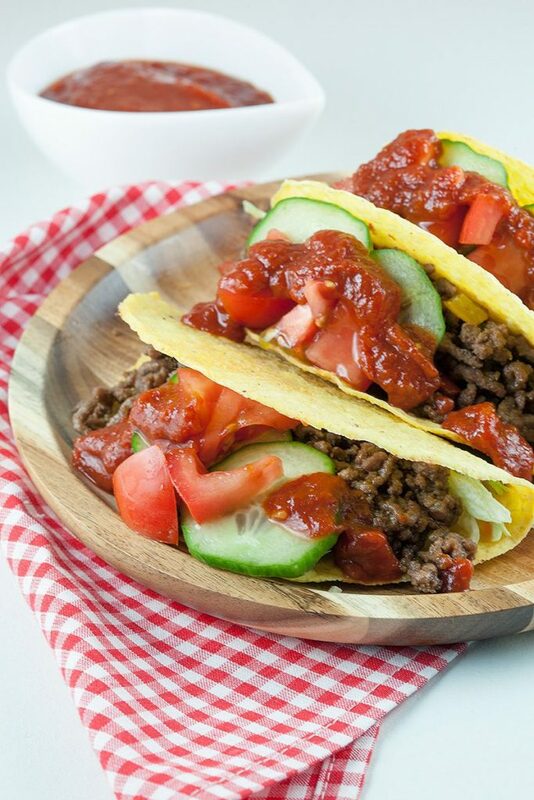 WHEN separate, the hard taco shells will lose some of its shape. HEAT up sunflower oil or any other kind of neutral oil in the large skillet and add in the minced meat. COOK for a few minutes, or until it starts to brown. ADD in diced bell pepper, season with taco seasoning and cook for a few minutes longer. 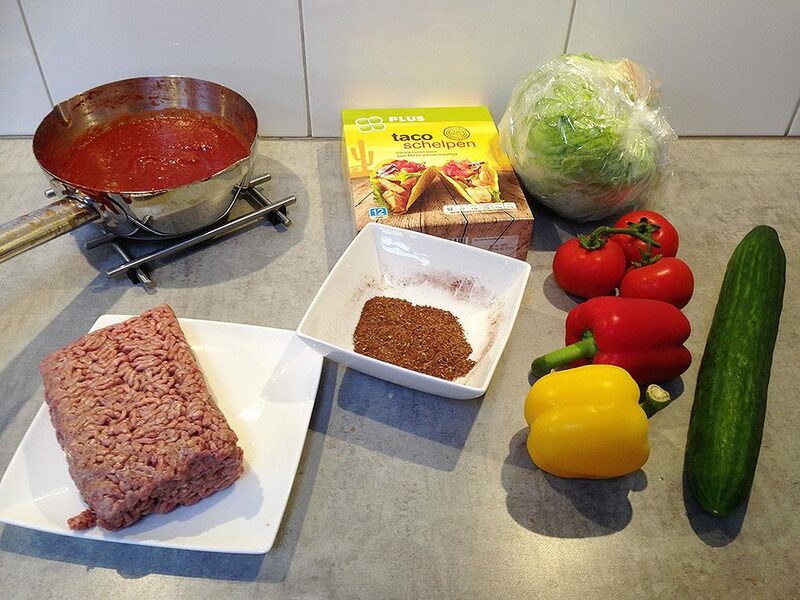 DIVIDE ice berg lettuce, minced meat, cucumber slices, tomato and optionally grated cheese over each hard shell taco. FINISH by adding taco sauce to liking. Enjoy your meal!